Moonlight in Winter Park by Samantha Chase - When Hope barges into the mountain retreat of her brother’s boss, demanding that he not be forced to work through the holidays, she doesn’t except to be trapped alone with him in a snow storm. And she doesn’t expect them to give into the attraction that was there all along. But will the magic still be there when the storm is over? One Night in the Ice Storm by Noelle Adams - When she returns to her hometown for the holidays, Rachel doesn't expect to be stranded in an ice storm with only David Harris for company. Eight years ago, David took her virginity and then broke her heart, and she doesn't plan to forgive him. She thinks she doesn't care about him anymore, until one hot night...when the ice finally melts. 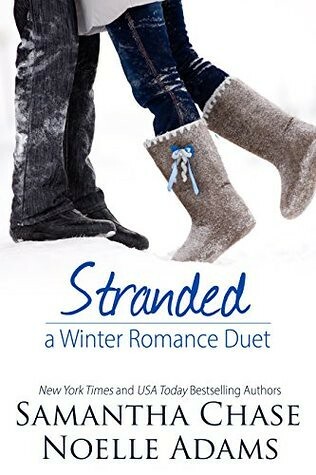 Stranded is a duet of cute romances featuring one of my favorite tropes - people who get stuck together and end up falling in love. I don't know why I love stories like these so much, since usually that means the romance must move quickly, but I do. And these two were no exception. First up we have Moonlight in Winter Park by Samantha Chase. 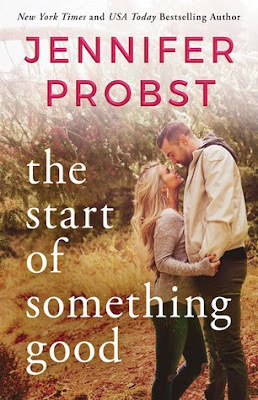 This one was cute and even though Hope, the main character, could be a bit judgmental at times I still enjoyed it. The holidays are coming up and it is going to be a rough one this year and she is looking forward to spending it with her brother. Only he has to work on Christmas. And won't even be nearby so she won't be able to see him at all. How can his boss make him do such a thing? Doesn't his boss have a heart? When Hope starts stopping by to have dinner with her brother, one of the few times she gets to see him since he works such crazy hours, she keeps running into Beckett who also works there. Apparently the boss is demanding of everyone and when her brother has to go back to work it is Beckett who keeps her company. They were really cute together even if Hope was always railing on her brother's boss. So then after Hope's brother goes off to work with his boss and he is needed at home, Hope sets off to find him and let him know what is going on. Only she ends up stuck out at a remote cabin alone with his boss! Who she hates, but maybe isn't all that bad when she really gets to know him. Oh Beckett was adorable. I understand why he puts up walls, but he also doesn't seem to understand some social interactions and stuff. I loved him and he was so sweet and it was great watching him relax a little bit. This was one of those stories where they are stuck together and manage to figure everything out. Really a cute read. Then we have One Night in the Ice Storm by Noelle Adams. Oh how I loved this one. Not only does Rachel get stuck in a snowstorm with someone, but the someone ends up being her brothers best friend/the guy who broke her heart. She is still not really over him, but she is too proud to let anyone see that. Really she has always been too proud to let anyone know how much he hurt her in the past so when she gets stuck with him no one thinks it will be a big deal. Rachel was fun. She is one of those people that wants to be able to do everything herself and doesn't want help from anyone, especially not David. She doesn't want to want anything from him so when he starts bossing her around trying to help it was entertaining. You could just see that these two were still so hung up on each other. Now as for David, yes he did do some not so nice things in the past, but he had his reasons. Overall he is a really great guy. One of those people who will do anything for someone in need. They have a bit to work out, but once they do it will be amazing. I loved them both and loved this story. So yeah. If you enjoy stories where people get stranded and fall in love then this is the duet for you. Both were really sweet, fun reads and will definitely go on my re-read list for the holidays.